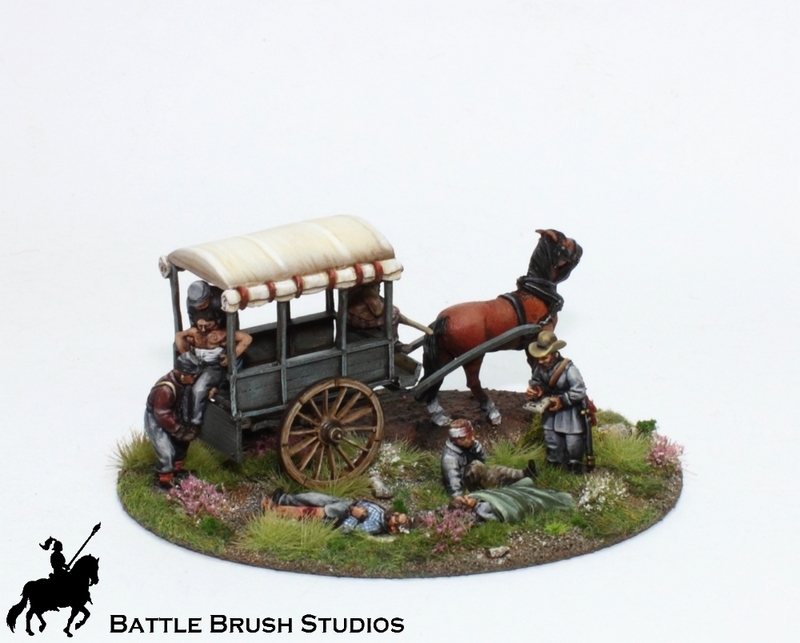 Here's another piece for my American Civil War collection: A two-wheeled ambulance wagon. 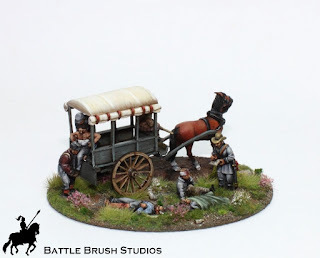 The models are by Perry miniatures, as almost every bit of my collection. 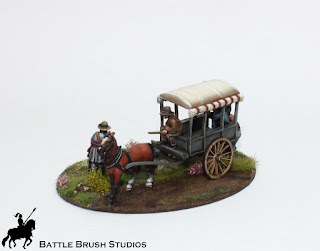 Their ACW range is just so vast and well done that there barely is a reason to look elsewhere for nice figures. So yeah, I basically just arranged the figures on the base (a large oval Renedra base), put everything together and painted it up! As for the colour of the wagon (because I know that many of you are really well read on that subject): I went for a different colour than on the general supplies wagon I painted earlier. 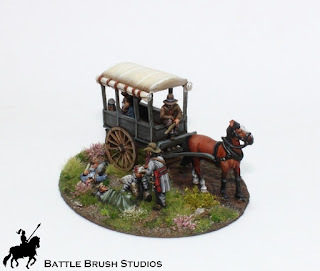 Here the wagon itself it blue-green-ish grey and the wheels are yellow/wood coloured. This is mainly meant to depict a discoloured US army wagon, possibly with the wheels replaced by new ones along the way. Hope you like the mini diorama!